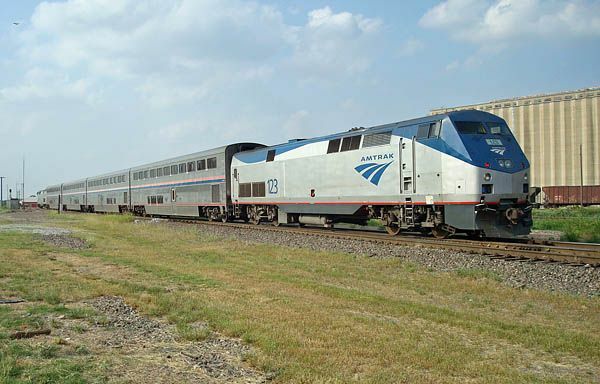 Taking Amtrak‘s Heartland Flyer train between Fort Worth and Oklahoma City sometime in the next year? You will be hitching a ride on the first beef byproducts-powered biodiesel train. The train, which runs on 80% regular diesel and 20% beef-based biofuel from a Texas vendor, is running for the next 12 months courtesy of a $274,000 grant from the Federal Railroad Administration. But is it morally suspect? Amtrak says that the cow tallow (read: rendered fat from cattle) fuel reduces hydrocarbon and carbon monoxide emissions by 10%, cuts down on particulates by 15%, and reduces sulfates by 20% compared to standard diesel. All good things, to be sure. And as long the cows for the Heartland Flyer’s fuel would have been killed anyway, it’s hard to argue with Amtrak. polluting of our environment,” explained Bruce Friedrich, PETA’s VP for Policy. In any case, Amtrak has yet to decide if tallow-based biofuel will make it past the test stages. Over the next year, the company will gather information about the potential impact of the fuel on train valves and gaskets.